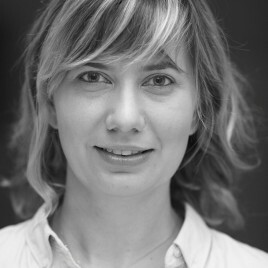 Reporter, graduated from the University of Warsaw in cultural studies and SWPS University of Social Sciences and Humanities in social psychology, and from the Polish School of Reportage at the Institute of Reportage. For eleven years she has bee travelling a lot; for nine years she has published her travel columns in “Gazeta Wyborcza”, ”National Geographic” and “Kontynenty”. She specialises in writing about Asia. She spent over four years on that continent, working in Japan, China, Cambodia, Thailand, the Philippines and Indonesia. Co-author (together with Wojciech Tochman) of the book Kontener about Syrian refugees in Jordan. Ganbare! 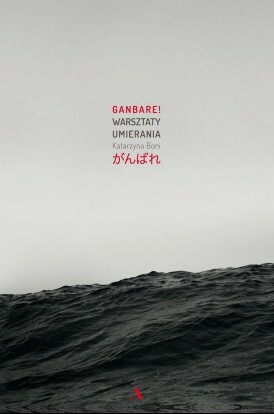 Warsztaty umierania (Wydawnictwo Agora) by Katarzyna Boni is a story about Japan – the country where a threat of catastrophe has become a standard, and the everyday life goes on in the shadow of death and about the people who try to restore their lives after a great earthquake, tsunami and the explosion in the nuclear power plant five years ago. Some have learned diving, and still try to find dead bodies of their loved ones in the sea. Others ignore the danger and try to live in the irradiated world as if nothing happened. Some others talk with ghosts. Or enrol to wokshops of dying. ”Książki. Magazyn do Czytania” magazine writes that Boni’s story is ”a fascinating travel into the experience of death”.